Choose a complete turnkey solution or integrate the Gulfcoast Storekeeper™ Image and Enterprise Event Archiving solution with your existing video system. Whatever your preference, we have you covered. 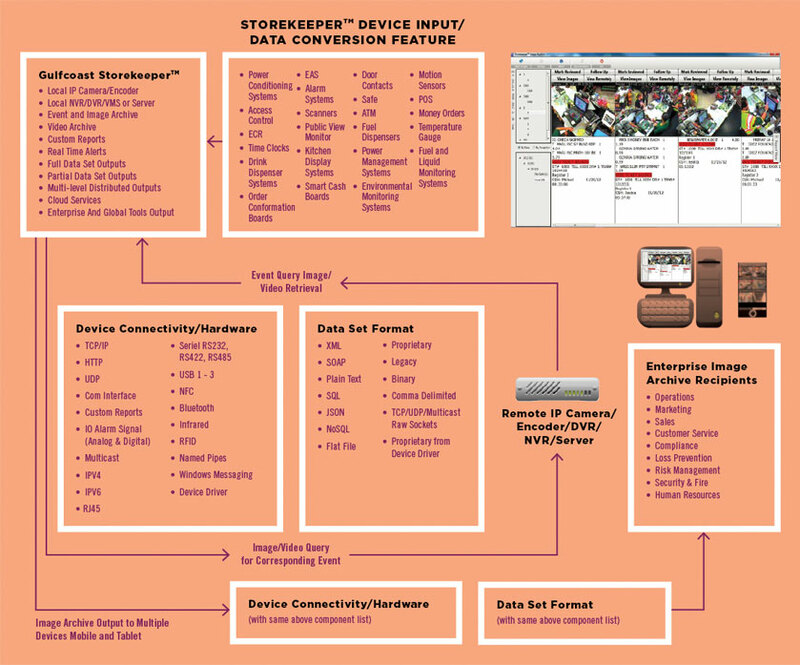 While our video, Loss Prevention and POS data integration solutions feature the Gulfcoast Storekeeper™ Hybrid DVR and NVR Video Management System, our solutions also integrate seamlessly with many other DVR brands and OEM partners including Samsung, Bosch, Ionit, NUUO, Avigilon, Geovision and others. Our legacy is a spirit of collaboration, functionality and flexibility that eclipses our competition, long established partnerships with industry heavyweights, projects with some of the world’s most respected retailers, and a proprietary video and data tool that uses very little bandwidth and creates a permanent, real-time digital record of your retail operation. It's been our passion for over a decade to develop solutions driven by the real world video and loss prevention needs of the retail industry. We’ve learned valuable lessons from our Fortune 200 partners and small customers alike.